Barsotti, R., Fischer, J. E., Lee, C. H., Mahmood, J., Adu, C. K. W. and Eklund, P. C., “Imaging, structural and chemical analysis of silicon nanowires,” Applied Phys. Lett. 81, 2866 (2002). 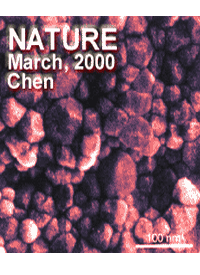 Biercuk, M., Llaguno, M. C., Radosavljevic, M., Hyun, J. K., Fischer, J. E. and Johnson, A. T., “Carbon nanotube composites for thermal management,” Applied Physics Lett. 80, 2767- 2769 (2002). 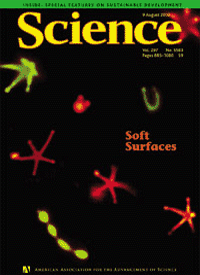 Cebers, A., and Janmey, P., “Shape instabilities in charged lipid domains,” J. Phys. Chem. B 106, 12351-12353 (2002). Composto, R. J., Walters, R. and Genzer, J., “Ion beam techniques and their application in polymer science” Materials Science and Engineering Reports: A Review Journal. Elsevier Science, Switzerland. (38/3-4 pp. 107-180) 1 July 2002. Discher, B. M., H. Bermudez, Y.-Y. Won, D. A. Hammer, F. S. Bates, and Discher, D. E., “Crosslinked copolymer vesicles with broadly tunable stability,” J. Physical Chemistry B 106(11); 2848-2854 (2002). 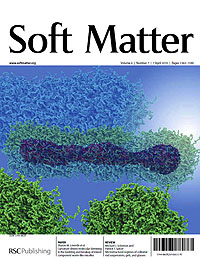 Eklund, P. C., Prahdan, B. K., Kim, U. J., Fischer, J. E., Friedman, A. D., Holloway, B. C., Jordan, K. and Smith, M. W., “Large scale production of single walled carbon nanotubes using ultrafast pulses from a free electron laser,” Nanoletters 2, 561 (2002). Fletcher, J. T. and Therien, M. J., “Strongly coupled porphyrin arrays featuring both p-cofacial and linear-p-conjugative interactions,” Inorg. Chem. 41, 331-341 (2002). Fletcher, J. T. and Therien, M. J., “Extreme electronic modulation of the cofacial porphyrin structural motif,” J. Am. Chem. Soc. 124, 4298-4311 (2002). Freitag, M. and Johnson, A. T., “Nanoscale characterization of carbon nanotube field-effect transistors,” page 513 – 516, Proceedings of the XVI International Winterschool, Kirchberg, Tyrol, 2002, AIP Conference Proceedings 633 (Melville, New York, 2002). Hone, J., Llaguno, M. C., Biercuk, M. J., Johnson, A. T., Batlogg, B., Benes, Z. and Fischer, J. E., “Thermal properties of carbon nanotubes and nanotube-based materials,” Applied Physics A 74, 339-343 (2002). Johnson, A. T., “Memory effect and role of defects in carbon nanotube field effect transistors,” page 526 -530, Proceedings of the XVI International Winterschool, Kirchberg, Tyrol, 2002, AIP Conference Proceedings 633 (Melville, New York, 2002). Johnson, A. T., Freitag, M., Radosavljevic, M., Kalinin, S. V. and Bonnell, D. A., “Role of defects in carbon nanotube circuits,” Int’l Journal of Nanoscience 1, 247-254 (2002). Kalinin, S. V., Freitag, M., Johnson, A. T. and Bonnell, D. A., “Carbon nanotubes as a tip calibration standard for electrostatic scanning probe microscopies,” Applied Physics Lett. 81, 754 -756 (2002). Kalinin, S. V., Suchomel, M. R., Davies, P. K., Bonnell, D. A., “Potential and impedance imaging of polycrystalline BiFeO3 ceramics,” J. of the American Ceramic Society 85(12), 3011-3017 (2002). Kalinin, S., Bonnell, D., Freitag, M. and Johnson, A. T., “Tip-gating effect in scanning impedance imaging of nanoelectronic devices,” Appl. Phys. Lett. 81, 5219-5221 (2002). 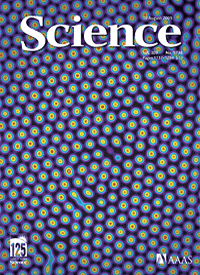 Kalinin, S. and Bonnell, D., “Contrast mechanism maps for piezoresponse force microscopy,” J. Mat. Res. 17, 936-939 (2002). Kalinin, S. and Bonnell, D., “Imaging mechanism of piezoresponse force microscopy of ferroelectric Phys. Rev. B 64, 125408 (2002). Lacoste, D., Collings, P. J., and Lubensky, T. C., “Effective index of refraction, optical rotation, and circular dichroism in the cholesteric blue phase III,” Phys. Rev. E 65, 031717/1-11 (2002). Lacoste, D., Lau, A. W. C., and Lubensky, T. C., “Phase transitions in lyotropic nematic gels,” Euro. Phys. J. E 8, 403-411 (2002) [cond-mat/0202262]. 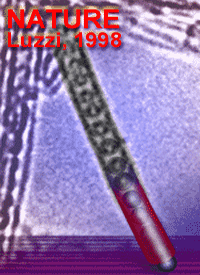 Lee, J. C-M., Santore, M., Bates, F. S. and Discher, D. E., “From Membranes to Melts, Rouse to Reptation: Diffusion in Polymersome Versus Lipid Bilayers,” in Communications to the Editor Macromolecules 35, 323-326 (2002). 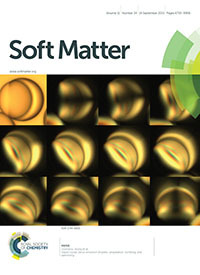 Nordgren, E., Tobias, D. J., Klein, M. L. and Blasie, J. K., “Molecular dynamics simulations of a hydrated protein vectorially-oriented at hydrophobic vs. hydrophilic soft surfaces,” Biophys. J. 83, 2906-2917 (2002). Popov, G., Kalinin, S. V., Alvarez, T. Emge, T., Greenblatt, M. and Bonnell, D., “Micromagnetic and magnetoresistance studies of ferromagnetic La0.83Sr0.13MnO2.98 crystals,” Phys. Rev. B 64 064426 (2002). Radosavljevic, M. Freitag, M., Thadani, K. V. and Johnson, A. T., “Nonvolatile molecular memory elements based on ambipolar nanotube field effect transistors,” NanoLetters 2, 761 – 764 (2002). Susumu, K. S. and Therien, M. J., “Decoupling optical and potentiometric band gaps in p-conjugated materials” J. Am. Chem. Soc, 124, 8550-8552 (2002). Uyeda, H. T., Zhang, Y., Wostyn, K., Asselberghs, I., Clays, K., Persoons, A. and Therien, M. J., “Unusual frequency dispersion effects of the nonlinear optical response in highly conjugated (Polypyridyl)metal-(Porphinato)zinc(II) Chromophores,” J. Am. Chem. Soc. 124, 13806-13813 (2002). Walters, R. M., Sohn, K. E., Winey, K. I., and Composto, R. J., “Investigation into local acid environment in poly(ethylene-ran-methacrylic acid) ionomers,” J. Poly. Sci. Physics, 41, 2833-2841 (2002). Aranda-Espinoza, H., Carl, P., Leterrier, J. F., Janmey, P. and Discher, D. E., “Domain unfolding in neurofilament sidearms: effects of phosphorylation and ATP,” FEBS Lett 531, 397-401 (2002). Bermudez, H., Brannon, A. K., Hammer, D. A., Bates, F. S. and Discher, D. E., “Molecular weight dependence of polymersome membrane elasticity and stability,” Macromolecules 35:8203-8208 (2002). Blasie, J. K., Strzalka, J. and Zheng, S., “Solution to the phase problem for specular X-ray or neutron reflectivity,” Phys. Rev. Lett., submitted. Bocquet, L., Losert, W., Schalk, D., Lubensky, T. C., and Gollub, J. P., “Granular Shear Flow Dynamics and Forces, Experiment and Continuum Theory,” Phys. Rev. E 65, 011307, Part 1 (2002). Bonnell, D. and Kalinin, S., “Scanning Impedance Microscopy of an Active Schottky Barrier Diode,” J. Applied Physics 91, 832-39 (2002). Bonnell, D. and Kalinin, S., “Scanning impedance microscopy: from impedance spectra to impedance images,” Microscopy Today 2, 22 (2002). Borisevich, A. Y., Davies, P. K., “Crystalline structure and dielectric properties of Li1+x-yNb1-x-3yTix+4yO3 M-phase solid solutions,” J. of the American Ceramic Society 85(3), 573-578 (2002). Borisevich, A. and Davies, P. K “La(Li1/3Ti2/3)O3: a new 1:2 ordered perovskite” J. of Solid State Chemistry 17, 2130-2140 (2002). Borisevich, A. Y., Davies, P. K., “Synthesis and dielectric properties of Li1-x+yTa1-x-3yTix+4yO3 M-phase solid solutions,” J. of the American Ceramic Society 85(10), 2487-2491(2002). Calvalcanti-Adam, E. A., Shapiro, I. M., Macarak, E. J., Composto, R. J., El Ghannam, A., Adams, C. S., “RGD peptides immobilized on a mechanically deformable surface promote osteoblast differentiation,” J. Bone Min. Res., in press. Chen, X., Discher, B., Pilloud, D. L., Gibney, B. R., Moser, C. C., and Dutton, P. L. “De novo design of a cytochrome b maquette for electron transfer and coupled reactions on electrodes,” J. Phys. Chem. B 106: 617-624, (2002). Cheng, R. P. and DeGrado, W. F., “Long-range interactions stabilize the fold of a non-natural oligomer,” J. Am. Chem. Soc. 124, 11564-11565 (2002). Cooper, V. R., Grinberg, I., Martin, N. R. and Rappe, A. M., “Local Structure of PZT,” AIP Conf. Proc. 626, 26-35 (2002). Dai, Q.-H., Tommos, C., Fuentes, E. J., Bloomberg, M. R. A., Dutton, P. L. and Wand, A. J., “Structure of a de novo designed protein model of radical enzymes,” J. Am. Chem. Soc. 124, 10952-10953 (2002). DiCostanzo, L., Wade, H., Geremia, S., Randaccio, L., Pavone, V., DeGrado, W. F., Lombardi, A., “Toward the de novo design of a catalytically active helix bundle: a substrate-accessible carboxylate-bridged dinuclear metal center,” J. Am. Chem. Soc. 123, 12749-12757 (2001). Discher, D. E. and Eisenberg, A., “Polymer vesicles,” Science 297, 967-973 (2002). 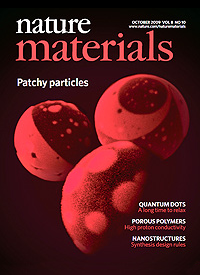 Farber, L., Valant, M., Akbas, M. A., Davies, P. K., “Cation ordering in Pb(Mg1/3Nb2/3)O3-Pb(Sc1/2Nb1/2)O3 (PMN-PSN) solid solutions,” J. of the American Ceramic Society 85(9), 2319-2324 (2002). 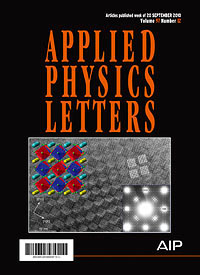 Farber, L., Levin, I., Borisevich, A., Grey, I. E., Roth, R. S., Davies, P. K., “Structural study of Li1+x-yNb1-x-3yTix+4yO3 solid solutions,” J. of Solid State Chemistry 166(1), 81-90 (2002). Feng, T. and Vohs, J. M., “TPD-TGA and Calorimetric Study of the Partial Oxidation of Methanol on TiO2-Supported Vanadium Oxide,” J. Catal., 208 (2002) 301. 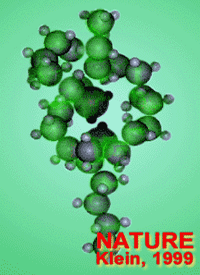 Fischer, J. E., “Chemical doping of single-wall carbon nanotubes,” Accounts of Chem. Research 30, 21 (2002). Forsthoefel,K. M., Pender, M. J. and Sneddon, L. G., “Chemical precursor routes to nanostructured non-oxide ceramics” MRS Symposium Proceedings 53, 60-64 (2002). Ghirlanda, G., Lear, J. D., Ogihara, N. L., Eisenberg, D. and DeGrado, W. F., “A hierarchic approach to the design of hexameric helical barrels,” J. Mol. Biol. 319, 243-253 (2002). Gratkowski, H., Dai, Q.-H., Wand, A. J., DeGrado, W. F. and Lear, J. D., “Cooperativity and specificity of association of a designed transmembrane peptide,” Biophys. J. 83, 1613-1619 (2002). Grinberg, I., Cooper, V. R. and Rappe, A. M., “Relationship between local structure and phase transitions of a disordered solid solution,” Nature 419, 909-911 (2002). Grinberg, I., Yourdshahyan, Y. and Rappe, A. M., “CO on Pt (111) puzzle: A possible solution”, J. Chem. Phys. 117, 2264-2270 (2002). Hornbaker, D. J., Kahng, S.-J., Misra, S., Smith, B. W., Johnson, A. T., Mele, E. J., Luzzi, D. E. and Yazdani, A., “Mapping the one dimensional electronic states of nanotube peapod structures” Science 295, 828 (2002) (cover story). Huang, C. Y., Getahun, Z., Zhu, Y. J., Klemke, J. W., DeGrado, W. F. and Gai, F., “Helix formation via conformation diffusion search,” Proc. Natl. Acad. Sci. USA 99, 2788-2793 (2002). 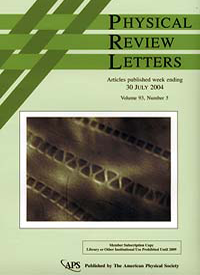 Huang, C. Y., He, S., DeGrado, W. F., McCafferty, D. G. and Gai, F., “Light-induced helix formation,” J. Am. Chem. Soc. 124, 12674-12675 (2002). Juhas, P., Davies, P. K., Akbas, M. A., “Chemical order and dielectric properties of lead scandium tungstate relaxors,” AIP Conference Proceedings 626(Fundamental Physics of Ferroelectrics 2002), 108-116.
on the BaTiO3 (100) Surface,” Applied Physics Letters 91 (2002) 3816. Kane, C. L., Mele, E. J., Johnson, A. T., Luzzi, D. E., Smith, B. W., Hornbaker, D. J. and Yazdani, A., “Theory of scanning tunneling spectroscopy of fullerene peapods” Phys. Rev. B 66, 235423 (2002). 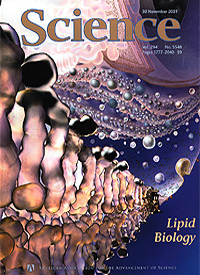 Lee, J. C-M., Santore, M., Bates, F. S. and Discher, D. E., “From membranes to melts, Rouse to reptation: diffusion in polymersome versus lipid bilayers,” Communications to the Editor Macromolecules 35: 323-326 (2002). Marsh, E. N. G., DeGrado, W. F., “Noncovalent self-assembly of a heterotetrameric diron protein,” Proc. Natl. Acad. Sci. 99, 5150-5154 (2002). Mele, E. J. and Kral, P., “Electric Polarization of Heteropolar Nanotubes as a Geometric Phase,” Phys. Rev. Lett. 88, 056803 (2002). Mele, E. J. and Yazdani, A., “Probing the Electronic States of Nanotube Peapods with the Scanning Tunneling Microscope” Applied Physics A 76, 1-6 (2002). Pender, M. J., Forsthoefel, K. and Sneddon, L. G., “The Design, Syntheses and Applications of Group 13 Molecular and Polymeric Precursors to Advanced Ceramics” in Group 13 Chemistry: Fundamental Research, Materials Science and Catalysis Shapiro, P. and Atwood, D. 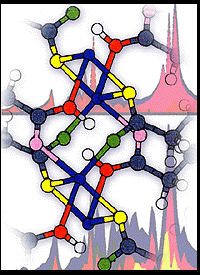 eds., American Chemical Society Symposium Series, ACS: Washington, D. C., 2002, 168-180. Percec, V., Popov, A. V., Ramirez-Castillo, E., Monteiro, M., Barboiu, B., Weichold, O., Asandei, A. D. and Mitchell, C. M., “Aqueous room temperatuve metal-catalyzed living radical polymerisation of vinyl chloride,” J. Am. Chem. Soc. 124, 4940-4941 (2002). Raugei, S. and Klein, M. L., “An ab initio study of water molelcules in the bromide ion salvation shell,” J. Chem. Phys. 116, 196-202 (2002). Redmore, N. P., Rubtsov, I. V. and Therien, M. J., “Synthesis, excited-state dynamics, and reactivity of a directly-linked pyromellitimide-(Porphinato)zinc(II) Complex,” Inorg. Chem. 41, 566-570 (2002). 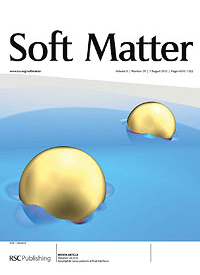 Santore, M. M., Discher, D. E., Won, Y.-Y., Bates, F. S. and Hammer, D. A., “Effect of surfactant on unilamellar polymeric vesicles: altered membrane properties and stability in the limit of weak solvent partitioning,” Langmuir 18:7299-7308 (2002). Smith, B. W., Russo, R. M., Chikkannanavar, S. B. and Luzzi, D. E., “High-yield Synthesis and One-Dimensional Structure of C60 Encapsulated in Single Wall Carbon Nanotubes, ” J. Appl. Phys. 91, 9333-9340 (2002). Summa, C. M., Rosenblatt, M. M., Hong, J. K., Lear, J. D. and DeGrado, W. F., “Computational de novo design and characterization of an A(2)B(2) diiron protein,” J. Mol. Biol. 321, 923-938 (2002). Tang, J. X., Janmey, P. A., Lyubartsev, A., and Nordenskiold, L. “Metal ion-induced lateral aggregation of filamentous viruses fd and M13,” Biophys J 83, 566-81 (2002). 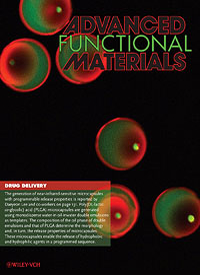 Tew, G. N., Liu D. H., Chen, B., Doerksen, R. J., Kaplan, J., Carroll, P.J., Klein, M.L., DeGrado, W. F., “Supramolecular chemistry and self-assembly special feature: de novo design of biomimetic antimicrobial polymers,” Proc. Natl. Acad. Sci. 99, 5110-5114 (2002). Tronin, A., Edwards, A. M., Wright, W.W., Vanderkooi, J.M. and Blasie, J.K., “Orientational distributions for cytochrome c on polar & nonpolar soft surfaces by polarized total internal reflection fluorescence,” Biophys. J. 82: 996-1003 (2002). Wang, H. and Composto, R. J., “Kinetics of surface and interfacial fluctuations in phase separating Polymer blend film,” Macromolecules 35, 2799-2809 (2002). Wong, G. S., Concepcion, M. R. and Vohs, J. M., “Oxidation of Methanol to Formaldehdye on Vanadia Films Supported on CeO2(111),” J. Phys. Chem. B, 106 (2002) 6451. Yourdshahyan, Y. and Rappe, A. M., “Structure and energetics of alkanethiol adsorption on the Au (111) surface,” J. Chem. Phys. 117, 825-33 (2002). Zhang, Y., Omolola Eniola, A., Graves, D. J. and Hammer, D. A., “Specific Adhesion of Micron-Sized Colloids to Surfaces Mediated by Hybridizing DNA Chains,” submitted, Langmuir (2002). Zhang J., Alsayed A., Lin K.-H., Sanyal S., Zhang F., Pao, W.J., Balagurusamy, V.S.K., Heiney, P.A., Yodh A.G., “Template-directed convective assembly of three-dimensional face-centered-cubic colloidal crystals” Appl. Phy.s Lett. 81 (17): 3176-3178, (2002). *. Dakskobler, A., T. Kosmac, T. and Chen, I.-W., “Paraffin-based process for processing layered composites with cellular microstructures,” J. Am. Ceram. Soc., 85 , 1013-15 (2002). Freitag, M., Kalinin, S. V., Dawn A. Bonnell, D. A., and Johnson, A. T., “Role of single defects in electronic transport through carbon nanotube field effect transistors,” Phys. Rev. Lett. 89, 216801 (2002). Haggenmueller, R., Zhou, W., Fischer, J. E. and Winey, K. I., “Mechanical and structural investigation of highly aligned single-walled carbon nanotube polymer composites,” J. Nanoscience and Nanotechnology , in press. Kang, Y. K., Rubtsov, I. V., Iovine, P. M., Chen, J. and Therien, M. J., “Distance dependence of electron transfer in rigid, cofacially compressed, p-stacked porphyrin-bridge-quinone systems,” J. Am. Chem. Soc. 124, 8275-8279 (2002). Kirkmeyer, B. P., Taubert, A., Kim, J.-S. and Winey, K. I. “Vesicular ionic aggregates in poly(styrene-co-methacrylic acid) ionomers neutralized with Cs,” Macromolecules 35, 2648-2653 (2002). Kirkmeyer, B. P., Puetter, P. R., Yahil, A. and Winey, K. I., “Ionomer morphologies: Deconvolution of STEM images,” J. Polym. Sci. : Polym. Phys., 40, 2833-2841 (2002). Lin, V. S.-Y., Iovine, P. M., DiMagno, S. G. and Therien, M. J., “Dipyrryl and porphyrinic precursors to supramolecular conjugated (Porphinato)metal Arrays. Syntheses of dipyrrylmethane and (5,15-Diphenylporphinato)zinc(II),” Inorg. Syntheses 33, 55-61 (2002). Qiao, L., Ryan, A. J. and K. I. Winey, “A correlation between lamellar contraction and applied shear stress in diblock copolymer,” Macromolecules 35, 3596-3600 (2002). Schwarz, M., Zerr, A., Kroke, E., Miehe,G., Chen, I.-W., Heck, M., Thybusch, B., Toe, B., and Riedel, R., “Spinel sialons,” Angew. Chem. Int. Ed. 41 . 789-93 (2002). Taubert, A. and Winey, K. I., “Imaging and x-ray microanalysis of poly(ethylene-ran-methacrylic acid) ionomer melt neutralized with Sodium,” Macromolecules 35, 7419-7426 (2002). Vavro, J., Llaguno, M. C., Satishkumar, B. C., Luzzi, D. E. and Fischer, J. E., “Electrical and Thermal Properties of C60-filled Single-Wall Carbon Nanotubes”, Appl. Phys. Letters 80, 1450-1452 (2002). Walters, R. W., Sohn, K. E., Winey, K. I. and Composto, R. J., “Local acid environments in poly(ethylene-ran-methacrylic acid) ionomers,” Journal of Polymer Science: Part B: Polymer Physics Edition 41, 2833-2841, 2002. Zenotchkine, M., Shuba, R., Kim, J.-S. and Chen, I. W., “Effect of seeding on the microstructure and mechanical properties of a-SiAlON: I. Y-SiAlON,” J. Am. Ceram. Soc., 85  1254-59 (2002). Zenotchkine, M., Shuba, R., Kim, J.-S. and Chen, I. W., “Effect of seeding on the microstructure and mechanical properties of a-SiAlON: II. Ca-SiAlON,” J. Am. Ceram. Soc., 85  1260-67 (2002). Zenotchkine, M., Shuba, R., Kim, J.-S. and Chen, I. W., “Effect of heating schedule on the microstructure and fracture toughness of a-SiAlON: cause and solution,” J. Am. Ceram. Soc., 85  1882-84 (2002).